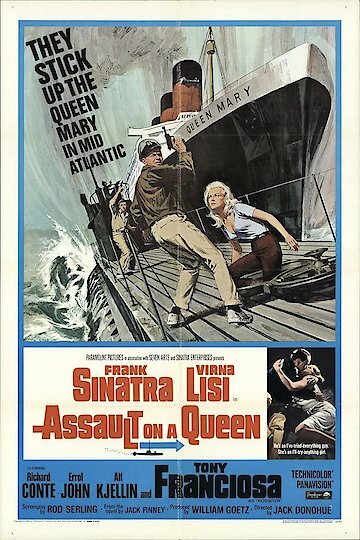 "They Stick Up The Queen Mary In Mid Atlantic"
Assault on a Queen is an adventure and heist film based on a novel by Jack Finney. Three men raise and recover a German U-boat that sank during World War II. It inspires one of them, a former U-boat captain, to create a daring plan: rob the Queen Mary, a transatlantic ocean liner, at sea. Assault on a Queen is currently available to watch and stream, buy on demand at Vudu, iTunes, YouTube VOD online.